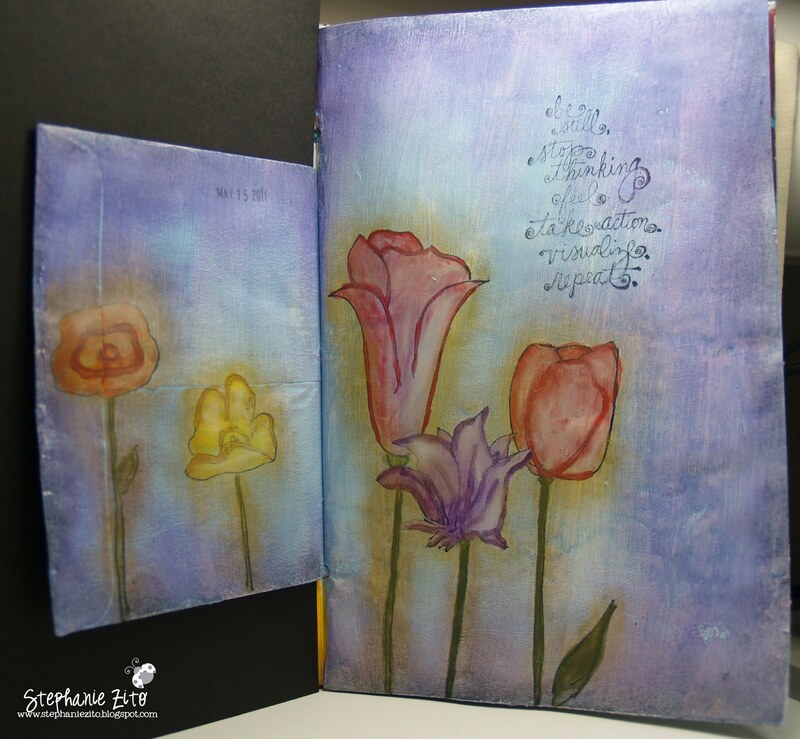 Here's another page in my Art Journal I played around with yesterday. I just received some new stamps from Unity - Donna Downey's Be Still Watercolor Kit and Donna Poppy Background. I used my new Kai Watercolors, Shiva Oil Art sticks, some Acrylic paint, Staz-On ink and my date stamp. I love how soft my page turned out! These images would look so gorgeous on a layout! oh stunning. love these DD stamps beautiful Stephanie.